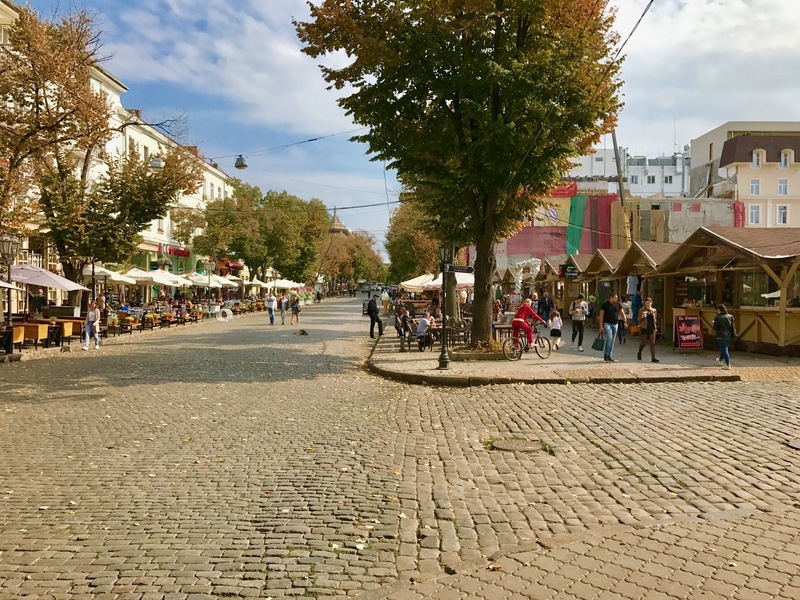 Last year, when I returned from my trip to Warsaw, I was sure that I would travel to Eastern Europe once more. Now, 14 months later, I traveled to Ukraine. Why Ukraine? Well, it should be a trip to a city by the sea, which is not yet overly touristy and I wanted to spend as little money as possible. So I decided for the largest port city on the Black Sea quiet soon and booking of the flights was just a matter of form. Similar to last year’s trip to Poland I traveled without a fixed plan and was absolutely positively surprised, once more! 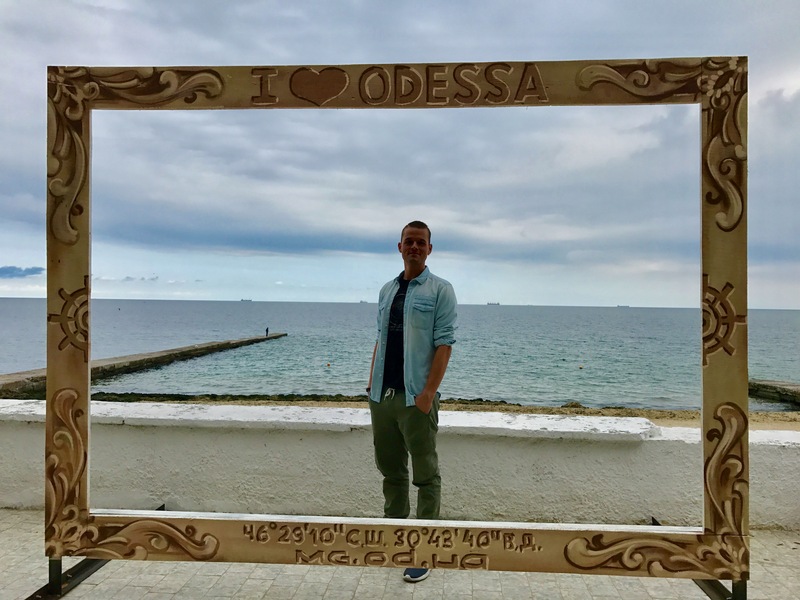 Both the cozy old town, as well as the location directly at the sea and incredibly favorable prices (for Western Europeans) will Odessa be remembered forever. 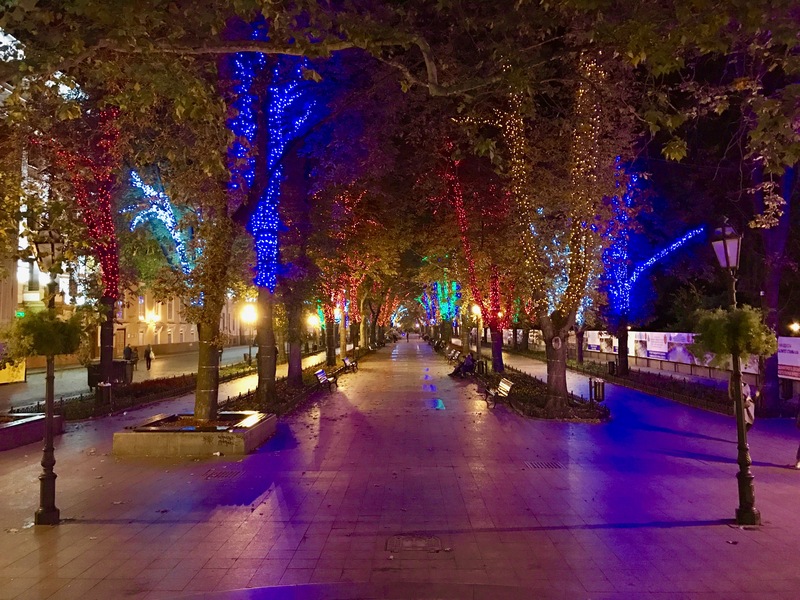 • Stroll along the Deribasovskaya street in the center – very cozy! 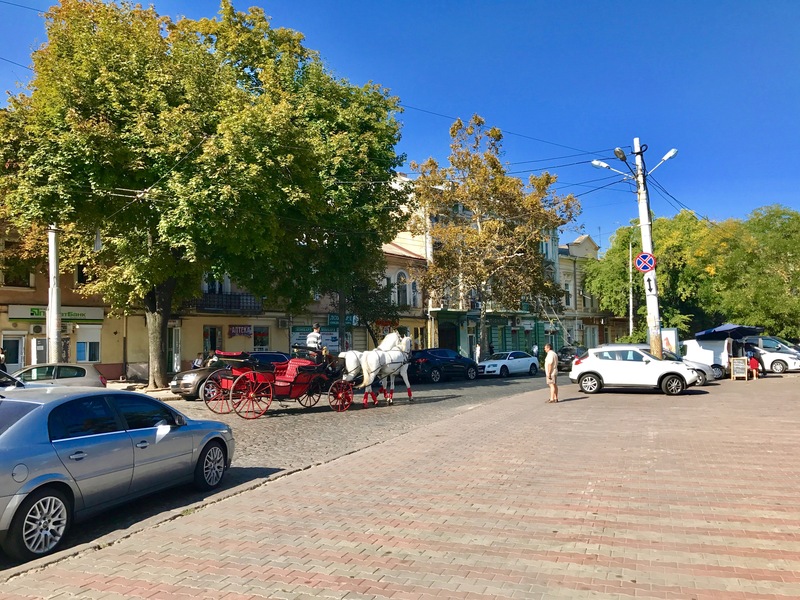 • Enjoy a cup of coffee with cinnamon on one of the typical coffee cars – Odessa pure! 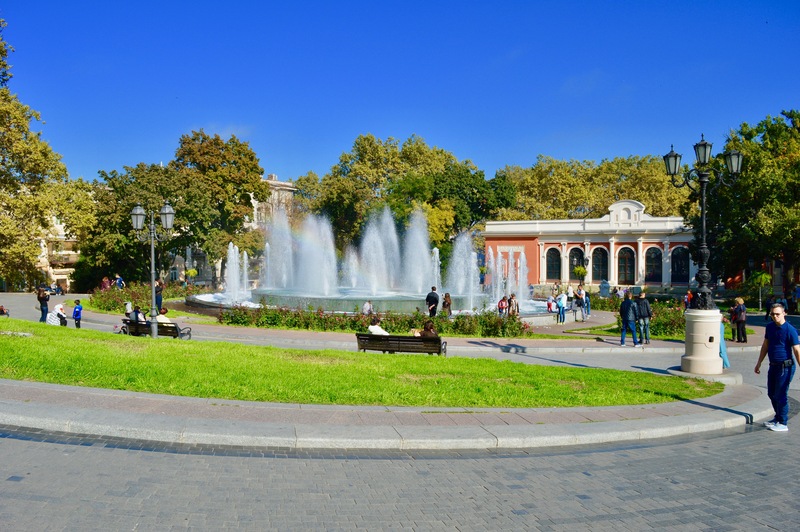 • Walk by the sea and the Shevchenko park – recreation guaranteed! 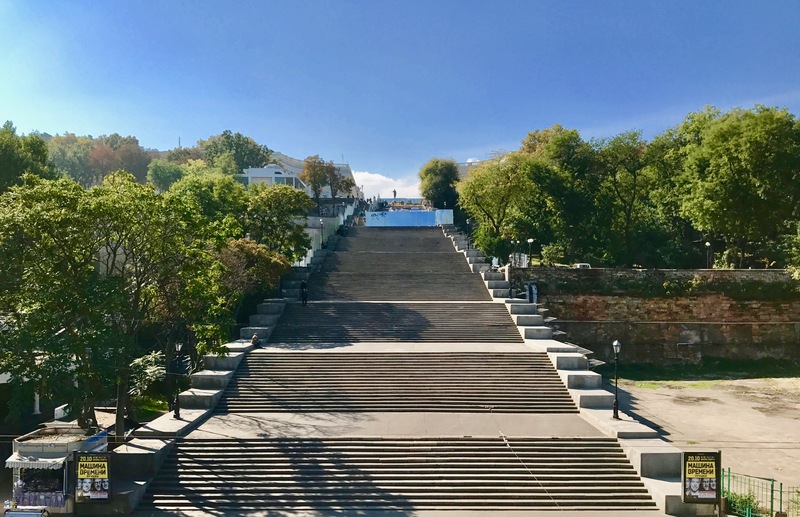 • Count the 192 steps of the famous Potemkin stairs by yourself and afterwards taking a look at the port – unforgettable! • Relax in front of the opera and just do nothing – so great! The trip to the Ukraine began at Munich Airport with a 2.5-hour flight, which was operated by Lufthansa Cityline. 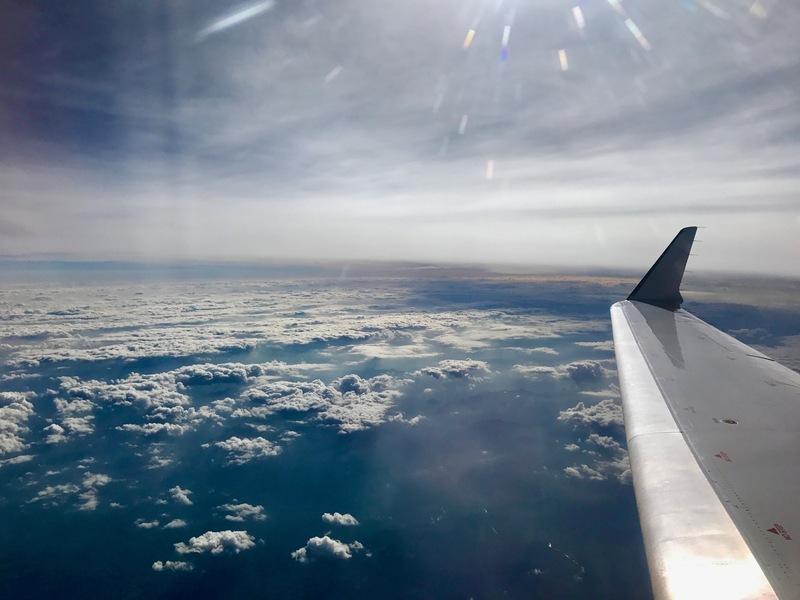 I have published a separate report about the flight – click here. 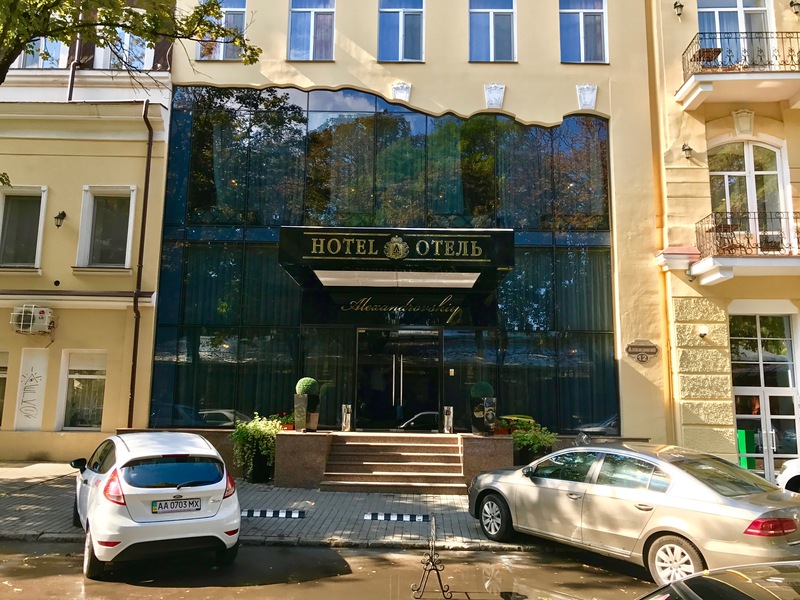 During my stay I spent four nights at the 4 star Hotel Alexandrovskiy. Click here for my review about this hotel. 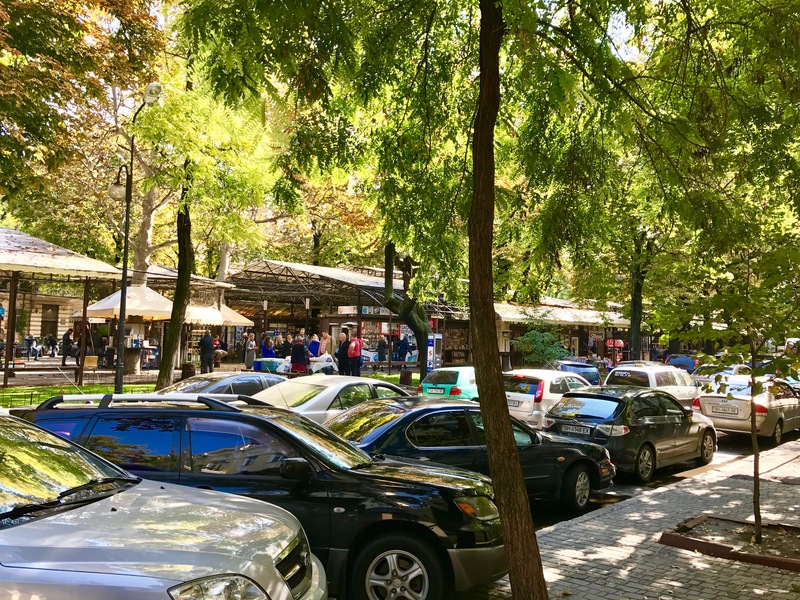 Right in front of the hotel, on a park-like green area, there is a small flea market where you can find souvenirs, books, toys and snacks. 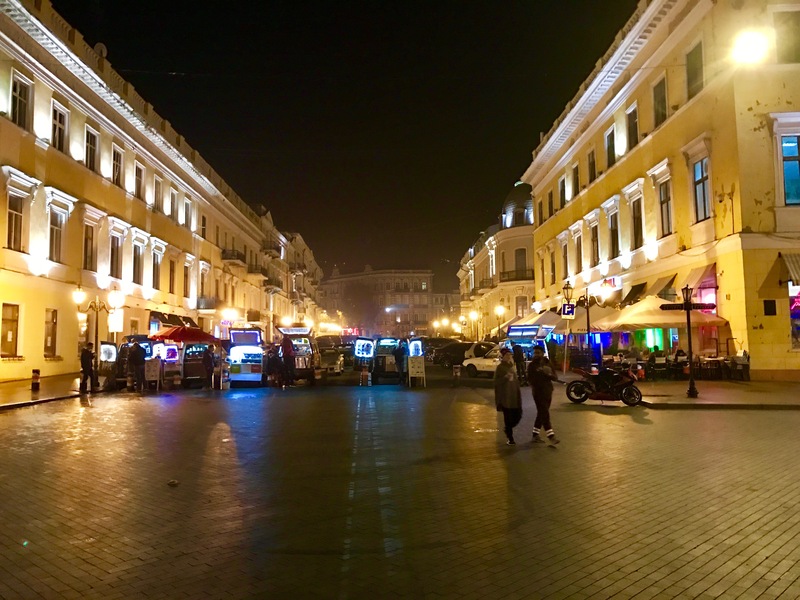 The Deribasovskaya street forms the center of Odessa and almost the whole street is built out as a pedestrian zone. From west to east, you will find the park „City Garden“ next to numerous shops, restaurants and cafés. The Odessa City Fair, on the right side of the picture, is located at the Deribasovskaya street, as well. Many small market-like stalls and booths offer various local and international meals and it´s such a great place to relax with beautiful background music. 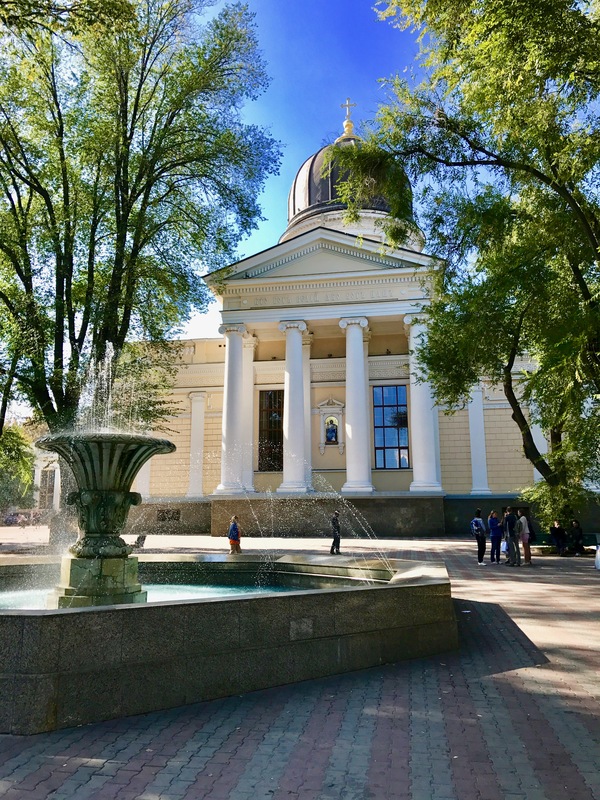 The Transfiguration Cathedral can also be found in the center of Odessa. Surrounded by a well-kept park, various artists and sellers offer their works and goods here. If you follow the shopping street further east, you will find the Opera house of Odessa, one of the city´s landmarks. Especially when the weather is nice, it´s wonderful there and the small, well-kept park invites you to linger. 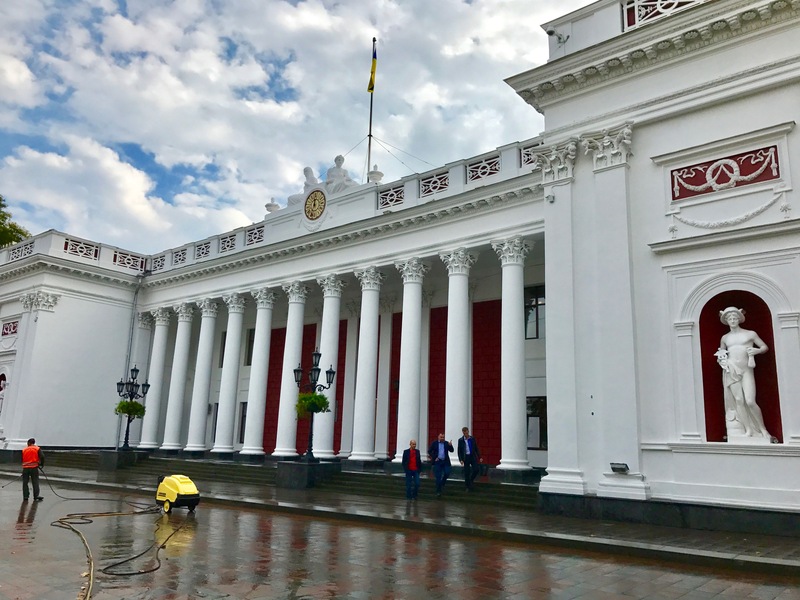 On its opposite side there is the Duma, the impressive town hall of Odessa. At the time of my visit, the upper part of the stairs, which was completed in 1841, was restored. Nevertheless, they´re very impressive and once you´re here, you have to count the 192 steps by yourself. It´s more exhausting than you may think..! 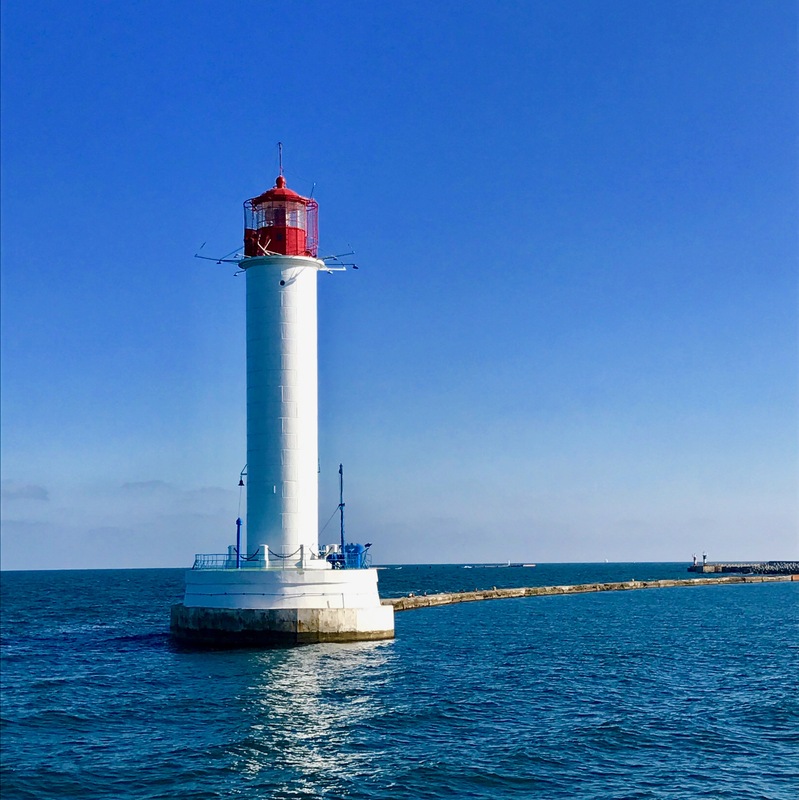 At the lower end of the Potemkin stairs, there is the port of Odessa. 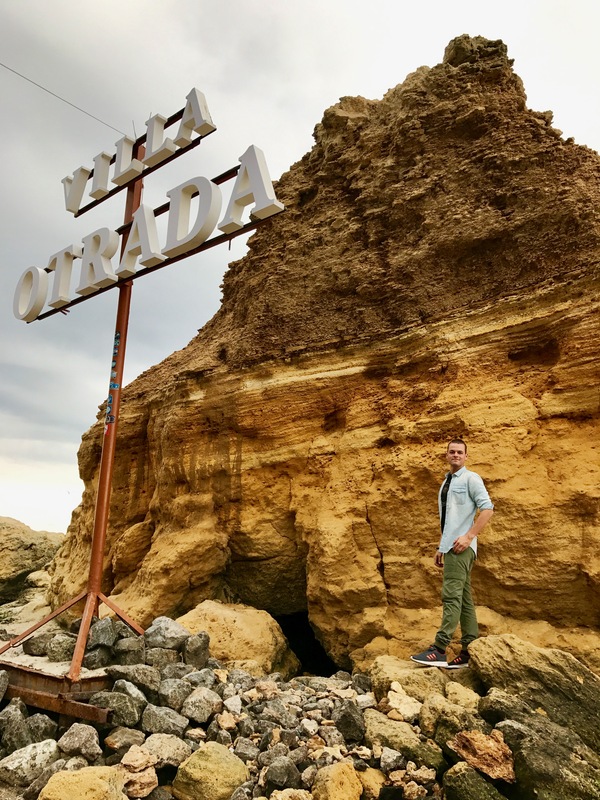 In addition to a café and a restaurant, various vendors offer tours along the coast and the beach. I also enjoyed such a 1-hour-tour in bright sunshine and 25 ° C; At a price of 3 € it was such a great and cheap pleasure. 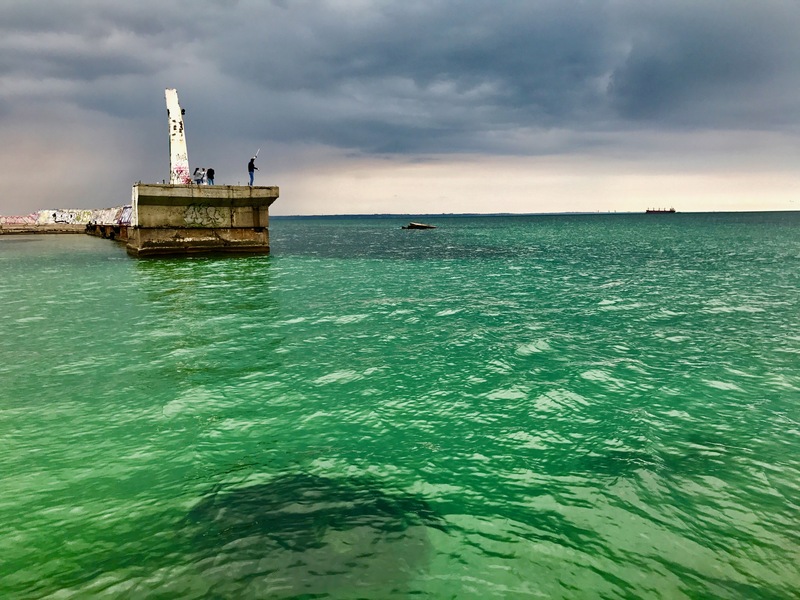 In addition to a great sunset, which turned the black into a bright green sea, I was impressed by a huge rock, which couples should climb up togehter hand-in-hand to prove their ability to handle difficult times. As on the left of the picture, freshly brewed coffee is sold out of luggage boxes of small cars at any time – my favourite was the coffee americano with cinnamon 🙂 . 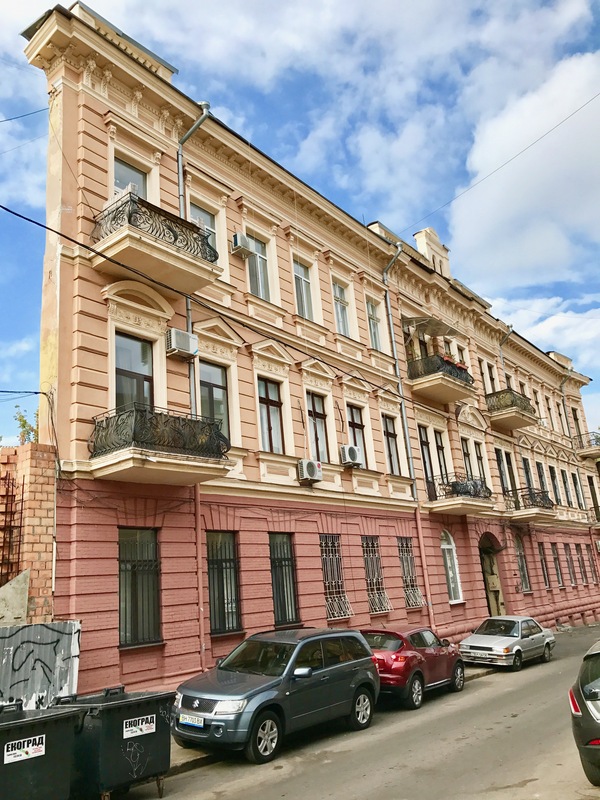 A special architectural highlight is the so-called wall-house, near Prymorskyi Boulevard. At first sight, it looks like a normal house, but on the second it seems to have only three walls. This optical illusion occurs, because the back wall begins a few meters farther back. Nevertheless, it acts impressive when you stand right in front of it. 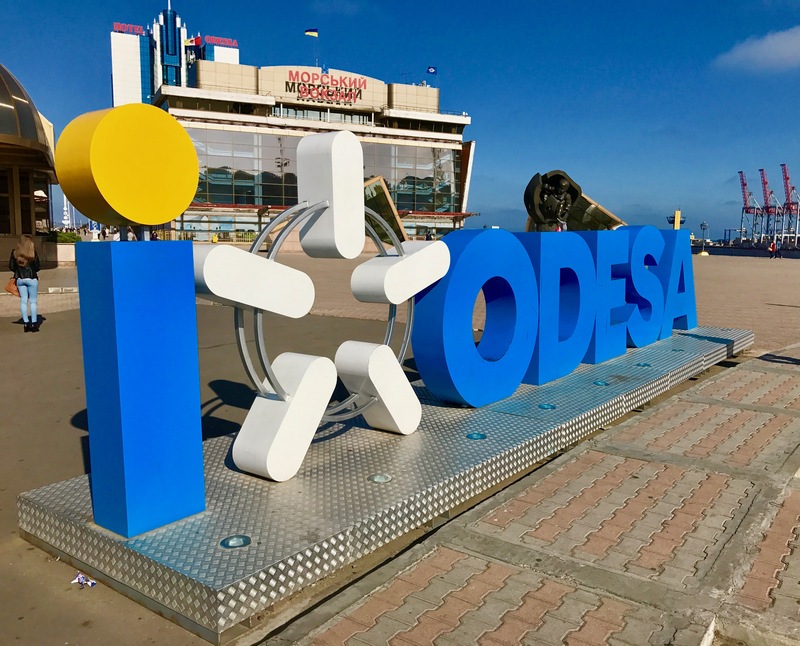 Five days in Odessa are coming to an end. 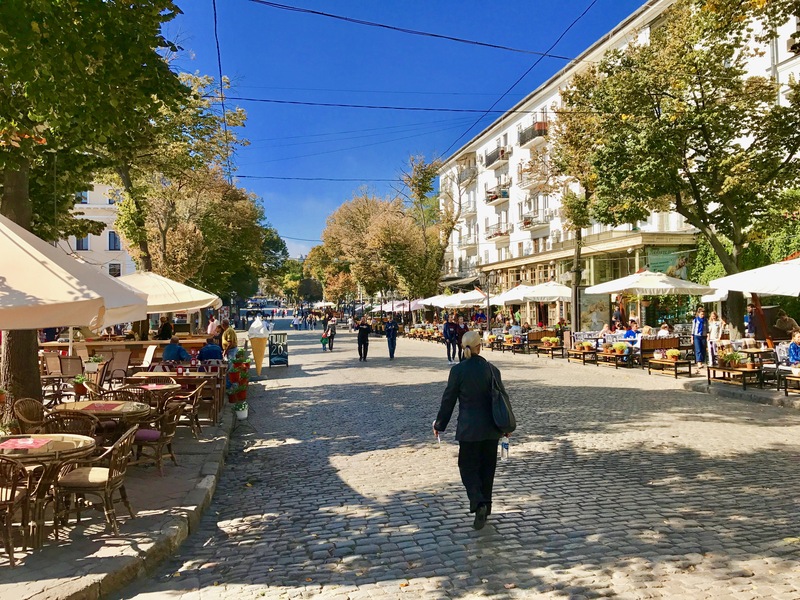 Five days in Ukraine. 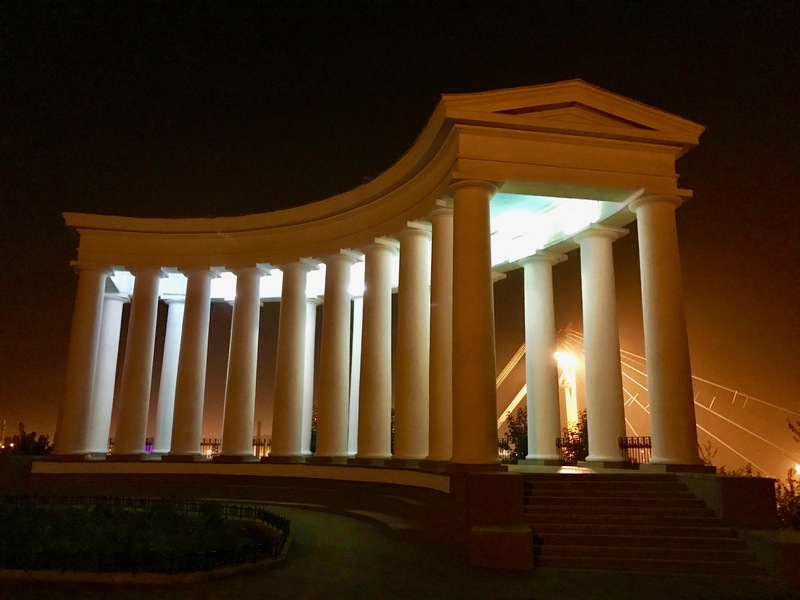 Five days in a city where only Russian is spoken. I got many questioning looks, frowning brows and misunderstandings ( „why do you want to go there?“) before my trip to the largest European country. And I didn´t really know what to expect, as well. The more I was amazed as I found small parks, nice bars or a completely new part of town at almost every corner of the city. 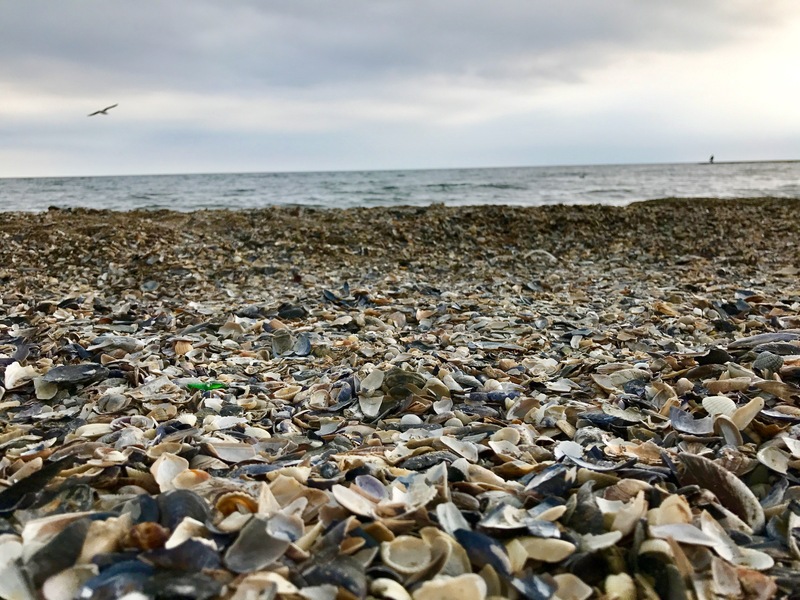 In addition, it is particularly beautiful when the sea is only a stone’s throw from the lively center of the metropolis. As a contrast to the orderly and standardized German life, I noticed many street dogs and cats, which never came close to me, and everybody should be attentive to the manhole covers (some are only a shaky decoration on deep holes). 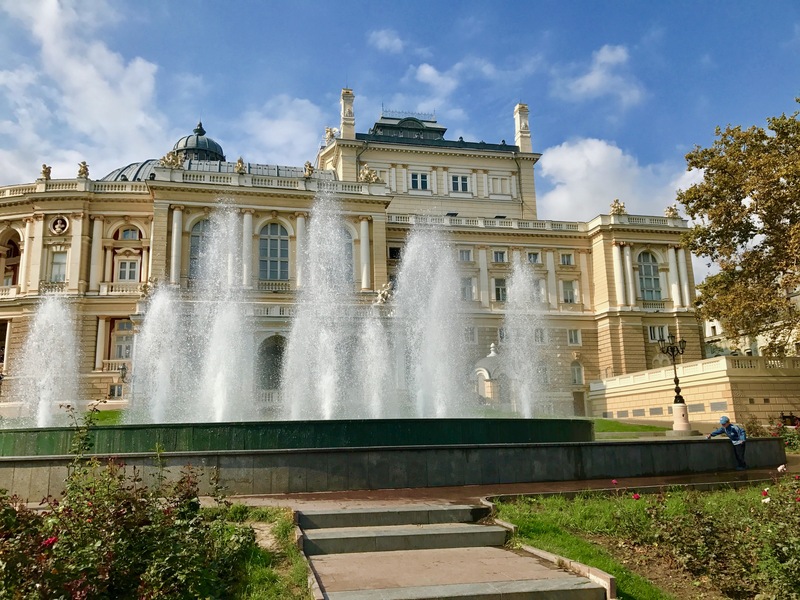 It won´t have been my last trip to Eastern Europe – besides the contrast to my everyday life, some great and favorable days can be spent here in Odessa!